March 30 is Spiritual Baptist/Shouter Liberation Day in Trinidad and Tobago, sometimes referred to simply as Spiritual Baptist Day. It is one of the country's public holidays. The Spiritual Baptist, also known as the Shouter Baptist, is a syncretic African diasporic religion which combines Christianity with elements of traditional African religion. It emerged in Trinidad in the early 19th century. The religion is called Shouter Baptist because when the worshipers “catch the Spirit”, they shout and clap, making loud noises. In 1917, the Shouter Prohibition Ordinance banned the activities of the Spiritual Baptists in Trinidad and Tobago. It was repealed on March 30, 1951. The repeal gave the Shouters the right to practice their religion freely. 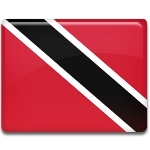 In 1996, the government of Trinidad and Tobago proclaimed the anniversary of the repeal a public holiday. This makes Trinidad and Tobago the only country to have a public holiday dedicated to the Spiritual Baptist faith. Interestingly enough, only 5.7% of the country's population identify themselves as the Spiritual Baptists. The largest religious groups in the country are Protestants of various denominations, Roman Catholics and Hindus.